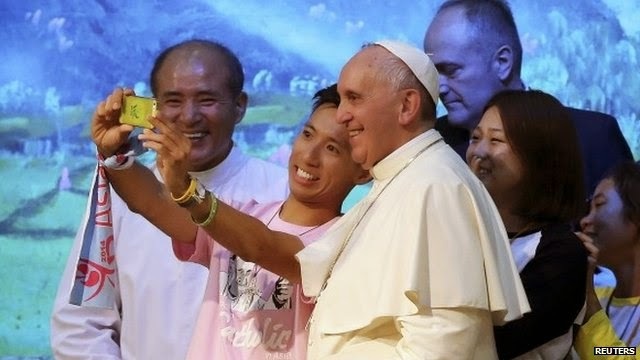 Setting a record for sacred selfies..
Past popes have set a variety of records, but Pope Francis seems sure to be setting the record for papal selfies. 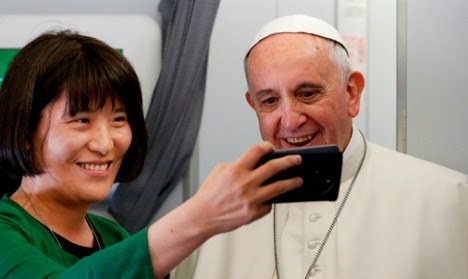 Even aboard the papal flight to Seoul, South Korea, in mid-August, Pope Francis posed for selfies with some of the Vatican press corps. 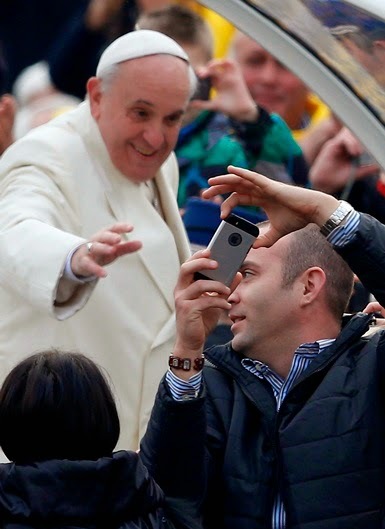 To be fair, the technology for selfies was not as prevalent for past popes. But then again, air travel was not as prevalent as when St. John Paul II set a record for papal travels. 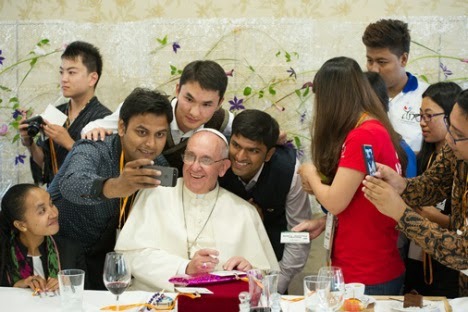 But can you imagine not only eating lunch with Pope Francis, but posing for a photo with him afterward? 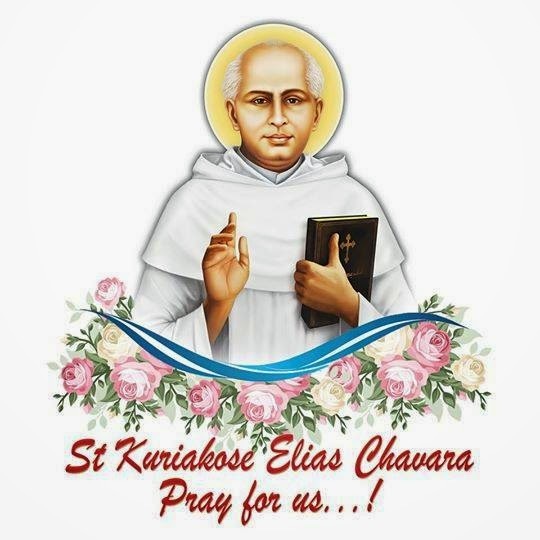 Selfies are not a new phenomenon for this pope. 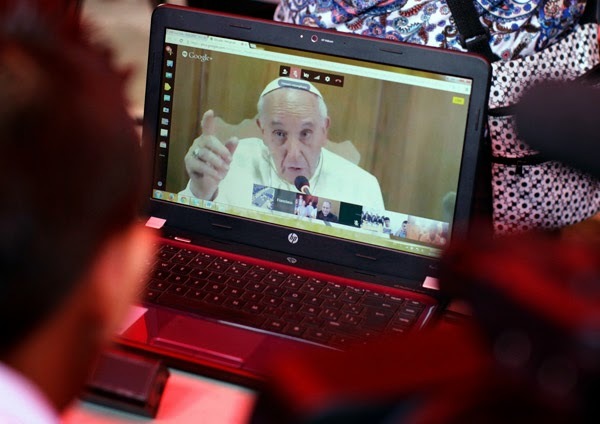 People are glad to be seen with him, even if it means just catching a shot as he drives through St. Peter’s Square in the popemobile.